Life is a great joy and something to be cherished and thankful for! Life is a great joy and something to be thankful for! However, there are many people allaround us, who have not been given the chance at life they should be. There arethose who were abandoned by their parents at a young age, children born withdisabilities, young teenagers who are not able to continue their studies due topoverty and lonely senior citizens, who all need a helping hand. 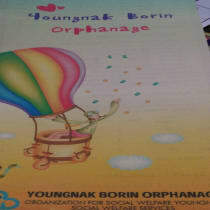 Youngnak Borin Orphanage is only one of many projects part of the Eastern Social Welfare Society.